How might we comprehend, navigate and share with each other the scale of today’s complex and fast-paced changing world and transition towards sustainable futures? Emerging, experimental, speculative, critical and future oriented, See Change Sand Tracks is a design event like no other. Currently in design phase by Relative Creative, the project will help people think, talk and mobilise their futures. 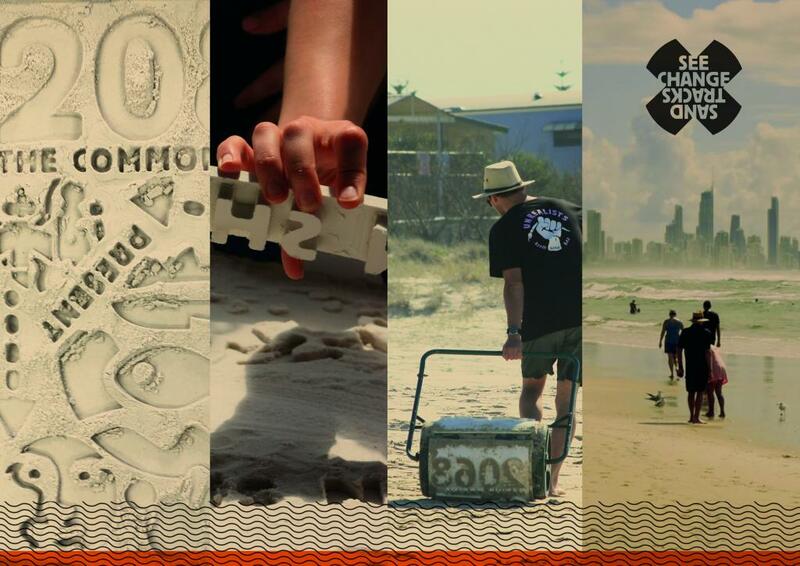 Wicked problems, systems, ecological and social responsibilities embedded in climate change, human movement, societal shifts, food security, conflict, health issues and more will be creatively and interactively made visible through the See Change Sand Tracks event. seechange.tv, the central hub for a number of project components, is where you can see how the project provides different skills to help people engage in art, showcase their art and tell their stories about these issues. When it launches you will be able to participate in using design and mapping techniques, cinematography and interactive media techniques as well as developing strategic foresight into those futures. Participate in understanding pasts, presents, futures and complexity—in thinking and talking about both the challenges and the opportunities your communities are facing. Explore how Indigenous Knowledge might contribute to navigating towards sustainable futures. The project utilises funding from the Generate Program: Generate is a City of Gold Coast initiative through the Regional Arts Development Fund (RADF), a partnership between the Queensland Government and the City of Gold Coast to support local arts and culture in regional Queensland. Generate is also supported through a partnership between Gold Coast City Council and Queensland Government’s Office of the Commonwealth Games.